The main focus of this degree programme is the book – the oldest and most important written medium for providing information, education and entertainment. 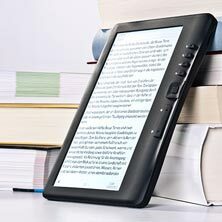 The degree programme looks at printed and digital books, their functions in society and their role within the media. Key topics include book production and book design, the history of reading and the reader, and research into the use of books. Following on from compulsory basic modules during the first year, such as 'Grundlagen der Buchwissenschaft' (introduction to book studies) and 'Lesen und Leser' (reading and the reader), students deepen and expand their knowledge in the key areas of the book trade, e-publishing and e-commerce, and the history of books and the book trade in subsequent semesters. The degree programme includes a compulsory eight-week placement in an area related to the book trade and a basic course in typography. The Book Studies degree programme at FAU is unique in the way that modern and historical approaches are given equal attention in the curriculum. It is designed to be studied as part of a two-subject Bachelor's degree programme: alongside the main subject students choose another subject from the wide range on offer, ensuring that they will have a broad range of career opportunities in the future. In addition to skills in academic and analytical work, students acquire practical skills that are required in the book industry. Graduates are therefore well equipped for a practical career in publishing, bookselling and related fields. The personal contact between students and lecturers, individual support and intensive work in the courses – without overfilled lecture theatres. At FAU book studies is an interdisciplinary and transdisciplinary subject. An attractive characteristic of the degree programme is the methodological pluralism, based on hermeneutics, historical empirical research, business and communication science. Students who want to learn about a wide range of topics are well catered for in Erlangen. Excellent libraries ensure that students have access to plenty of literature. Many materials can be used via online infrastructures and campus licences. Teaching and learning materials are available any time and from anywhere via the StudOn platform. There is a special library open to all book studies students for in-depth study. The student city of Erlangen has everything you need to enjoy student life. The university buildings are located in the centre and easy to reach from all over the city – on foot or by bike. The Schlossgarten park, numerous beer gardens and pubs, and the city's baroque charm make Erlangen a pleasant place to study. Nuremberg, the nearest large city, has a lot to offer in terms of culture and is easy to reach by train. It is often said that the printed book will disappear in the future. This assumption is wrong – the printed book will not die out and the book market is growing with electronic media. This is a good reason to study book studies at FAU. We welcome students who like to read but we do not interpret the content of texts. If this is what you like to do you would be better suited to a language degree programme or literary studies. To succeed in this programme it is important that you enjoy reading but that is certainly not the only factor. Applicants should know that an interest in the academic issues surrounding the design and distribution of books and in the methods and theory are essential for students of book studies at FAU. Graduates with a degree in book studies are suitable for a wide range of professions. However, there are different specific degree programmes and training courses for librarians and booksellers.